Our division previews continue apace! With the AL East, Central, and West already covered, we’re moving on to the Senior Circuit. Today, we start with the NL East. Check back tomorrow for the Central and then on Thursday when we wrap things up with the West. Judging from how the smart money is flowing, you might think the NL East has already been decided. The Washington Nationals ride into the 2015 season as the overwhelming favorites to win the division — and the not-quite-as-whelming favorites to lift the World Series trophy. With copious amounts of talent and depth across the roster, the Nats should be awesome, and honestly, it’ll take something catastrophic to keep them from grabbing their third NL East crown in four years. But despite Washington’s impending and overpowering greatness, the division is home to two more playoff contenders in a fascinating and dangerous Marlins team and a Mets squad that, even with Zack Wheeler lost for the year, is brimming with pitching talent. As for the Braves and Phillies? Well, there’s always 2016. *Werth, Rendon, and Span are all expected to start the year on the disabled list. Their respective replacements should be Tyler Moore, Ian Stewart, and Michael Taylor. Best Offseason Move: Trading Steven Souza and Travis Ott in exchange for Joe Ross and Trea Turner as part of a three-team deal with Tampa Bay and San Diego. The projection systems love Souza, but he’s also about to turn 26, and there wouldn’t have been any room for him in Washington’s starting lineup until 2016 … at the earliest. In exchange for a skilled but expendable outfielder, the Nats got two 21-year-olds who could be useful major leaguers down the road: Ross, a right-hander who was San Diego’s first-round pick in 2011, and Turner, a speedy shortstop who was the Padres’ first-round pick last year. With Ian Desmond set to become a free agent at the end of the year, landing Turner — who hit .369/.447/.526 in 46 games at Single-A Fort Wayne last year and comes into this season as the 63rd-best prospect in baseball, according to MLB.com — shows that GM Mike Rizzo remains committed to the team’s long-term success, even as 89-year-old owner Ted Lerner pines for a World Series ring ASAFP. Worst Offseason Move: None. Make no mistake, Max Scherzer and Father Time will almost certainly make the back end of the seven-year, $210 million deal he just signed look really bad, but for as committed as Rizzo is to the future, the short-term thinking here checks a couple of boxes: (1) Lerner is hell-bent on winning it all while he still can, and Scherzer gives the Nats a clear edge over every other rotation in baseball. They’re certainly more likely to win a ring with Scherzer than without. (2) Unlike Detroit owner Mike Ilitch with Miguel Cabrera and the Phillies’ brass with Ryan Howard, Lerner and the Nationals didn’t sign a star player two years before it was necessary. To be sure, Scherzer’s deal is massive, but it’s not quite the nuclear disaster that Detroit and Philadelphia brought upon themselves. 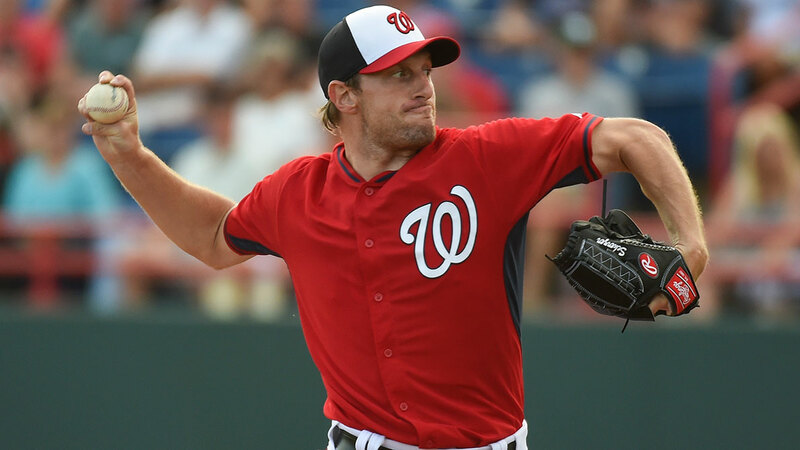 Greatest Team Strength: Nationals starters led the majors last year in ERA and Fielding Independent Pitching … and that’s before adding Scherzer, the 2013 AL Cy Young winner, to the rotation. But for as shiny as Washington’s brand-new Opening Day arm might be, the true beauty of the team’s starting pitching lies in its depth. Despite no. 1 and no. 5 starters almost always recording the same number of starts, self-styled contenders will often settle for veteran flotsam in the fifth-starter role, but not Washington. The Nats go six deep: Doug Fister, who was eighth in NL Cy Young voting last season, is the über-qualified fifth arm, and impressive 2014 rookie Tanner Roark (198.2 innings, 2.85 ERA) can’t even crack the rotation. Greatest Team Weakness: Health. Given all the injuries suffered by key players — Bryce Harper played in just 100 games, Wilson Ramos in 88, Ryan Zimmerman in 61 — it’s a testament to Washington’s 1-through-25 talent that the Nats cruised to the NL East title last year. Still, it’s concerning that Anthony Rendon (knee), Jayson Werth (shoulder), Denard Span (abdomen), and reserve outfielder Nate McLouth (shoulder) will all likely be on the disabled list come Opening Day. In particular, Rendon is the biggest worry: The 24-year-old was the team’s best player last year, but he already has a history of injuries over his young career, most notably the ankle injury that caused him to miss three months in 2012, his first season of pro ball. As was also the case last year, the Nats are so loaded that they could conceivably win the East even with multiple significant injuries, but no one in D.C. is itching to test that theory out. Player We Can’t Wait to Watch: Ever since he was launching bombs as a teenager in Nevada, we’ve been waiting for Harper to turn into a super-duper-star. And, well, we’re still waiting. Harper has shown flashes of brilliance in the big leagues, only to get sidetracked by injuries the past two seasons. However, a dose of perspective is in order: Despite nearly 1,500 major league plate appearances under his belt, Harper is still only 22 freaking years old. On a park-adjusted basis, his supposedly disappointing performance has still netted a career .272/.351/.465 line that rates as 25 percent better than league average. It’s extraordinary for a player to even make the majors at 19 or 20, let alone hit as well as Harper has — think Ken Griffey Jr. and Mel Ott. As far as becoming a superstar goes, history is on Harper’s side. Add in that he showed up to spring training this year looking like the Incredible Hulk, and try not to get excited. Noteworthy Miscellaneous Stat: Considering that more than 70 percent of major league at-bats happen against right-handed pitching, it’s not ideal for the Nats to be a mere middle-of-the-pack team (a wRC+ of 98 last year) against northpaws. In 2014, the team’s best hitter versus righties was Adam LaRoche, who batted a stellar .280/.390/.501 — and he’s now on the White Sox. After LaRoche, the top righty mashers from last year were Werth, Rendon, and Span — and they’re all injured. If health problems persist into June or July, don’t be surprised if the Nats pursue a lefty-swinging thumper at the deadline. Off-Field Story Line: Thanks to real-estate investments, the Lerner family is worth billions, and the Lerners can spend to the moon if they’re not concerned about losing some bucks on their baseball team. But if they insist on working within the confines of baseball-only revenue, the ongoing dispute over the lopsided MASN TV agreement, which binds the Nationals and Orioles and significantly hamstrings Washington’s television revenue, presents a serious obstacle. Although a source close to the situation confirmed to Grantland that MLB is sending payments to the Lerners as temporary compensation during the dispute, that’s not a long-term solution. New commissioner Rob Manfred said the conflict, currently in litigation, should be resolved soon. If that happens, the Nationals stand to dramatically increase their earning power, which could further cement the franchise’s status as one of the elite financial powers in the game. Projected Record and Over/Under: 93-69 — OVER. As does any team, the Nats have a few question marks: The injury bug could be a big issue, it’s unclear where the offensive production against righties will come from, and the loss of Rafael Soriano likely leaves them with a less-than-ideal combination of Casey Janssen in the eighth and Drew Storen in the ninth. But Rizzo & Co. have built a star-laden roster buttressed with quality second and third options that could withstand all but the most catastrophic scenarios. Plus, plenty of games against two punching bags in Philly and Atlanta, combined with the unbalanced schedule, should beef up Washington’s win total significantly. Now, predicting a World Series outcome for any team is sheer folly. Just ask the approximately zero people who predicted the Giants and Royals would meet in last year’s Fall Classic. For the Nats, here’s what we can say: They have enough talent, and play in a weak-enough division, that they’re a near-lock to make the playoffs. Once you get into the dance, anything can happen. *Fernandez will start the season on the DL and is expected back sometime in June. His temporary replacement will be either Tom Koehler or David Phelps. Best Offseason Move: Signing Christian Yelich to a seven-year, $49.6 million extension, with a club option for 2022. 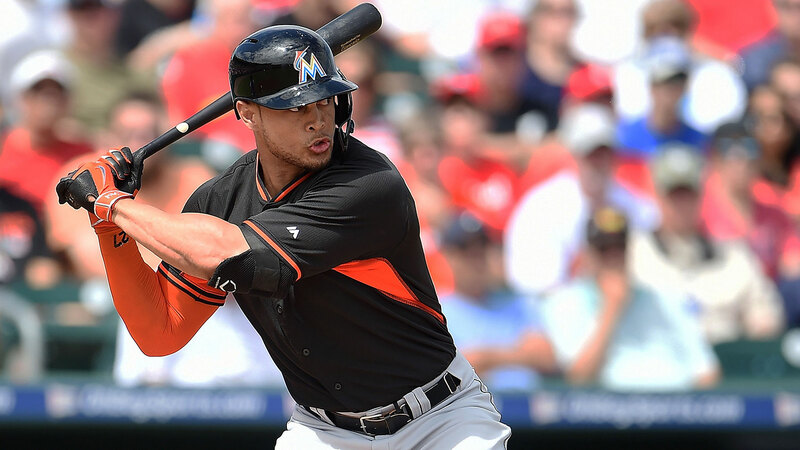 Yelich and his agent were reportedly reluctant to discuss a big contract extension until the Fish gave Giancarlo Stanton a deal that, if the slugger doesn’t opt out after six years, will become the most expensive in baseball history. A multiskilled player, wielding a strong career .365 on-base percentage, plus defense, excellent speed and baserunning instincts, good bat control, and emerging gap power, Yelich is only 23 years old, but already approaching 1,000 career plate appearances. As we already mentioned in regard to Bryce Harper, guys with that much experience at such a young age tend to turn into very good players. Locking up the franchise’s two best position players through their primes solidifies Miami’s outfield as the best in baseball, and it also suggests that the Marlins might finally be ready to operate like a normal, ambitious franchise. Worst Offseason Move: None. The Marlins made several major moves this offseason, but the one that garnered the most criticism was the seven-player blockbuster that sent Andrew Heaney, Enrique Hernandez, Chris Hatcher, and Austin Barnes to the Dodgers for Dee Gordon, Dan Haren, Miguel Rojas, and a wad of cash. Some wondered why the Marlins were giving up on Heaney, a young pitcher with six years of control — but he has struggled mightily this spring, might get sent down to the minors, and, after all, pitching prospects are never a sure thing. Others were skeptical of Gordon after the former Dodger’s lousy second 2014 half — but his strong first half earned an All-Star nod, and he provides an immediate upgrade over the series of inanimate carbon rods the Marlins rolled out at second base last year. And some questioned whether Haren has anything left in the tank — but the Dodgers are paying his entire salary, and if the 186 semi-decent innings Haren spun last year are an indication, Miami could end up with a viable back-of-the-rotation starter for free. Bottom line: The Marlins saw a chance to improve at second base, third base, and in the rotation, and they took it. For a young team with some exciting core talent but also several significant holes, that was exactly what they needed to do. Greatest Team Strength: The outfield. We already know about Stanton, who led the National League last year in home runs (37) and slugging average (.555), and trailed only Andrew McCutchen in overall park-adjusted offense. We already mentioned Yelich, and the all-around threat he provides. Despite the wealth of talent in the corners, Marcell Ozuna might have the most potential of all three: His fly ball and line-drive rates both suggest further upside, and he was one of only four players 23 or younger to hit at least 20 homers last year. Plus, he’s got better-than-average speed and contributes playable defense at a premium position. All the ingredients are there for Ozuna to become a full-blown star. Greatest Team Weakness: Starting pitching — at least until Jose Fernandez returns. The Marlins certainly recognized their pitching needs and took aggressive steps to address them over the winter. Mat Latos, who came over in a trade with the Reds, ranked 12th in park-adjusted ERA among all National League starting pitchers with 300 or more innings pitched over the past two years. The departed Nathan Eovaldi fires a mid-90s fastball and could blossom in New York, but David Phelps, who came over in the deal with the Yankees, has pitched well enough this spring to earn serious consideration for the no. 5 job. Haren is 34 years old but, again, still contributed 186 innings last year. Add in Henderson Alvarez (who’s coming off an All-Star season in which he posted a 2.65 ERA), Tom Koehler (who recorded 191.1 innings and improved his strikeout, walk, and home run rates in his second big league season), and trade-deadline pickup Jarred Cosart (who posted a 2.39 ERA over 64 innings after the deal with Houston), and you have what would seem to be a workable rotation until Fernandez returns (hopefully) in June. Now the bad news: Latos made only 16 starts last year because of elbow and knee injuries. Phelps gave up 115 hits and 46 walks in just 113 innings. Haren has serious back problems in his recent past, gives up a bunch of homers, and his Twitter handle tells you everything you need to know about his velocity. Alvarez put up the second-worst strikeout rate among all qualified NL starters. Koehler’s 3.81 ERA and 3.84 FIP were both worse than league average on a park-adjusted basis. And Cosart is embroiled in a gambling investigation that carries with it the potential penalty of a one-year suspension. You don’t normally want to leave the success of your entire pitching staff up to the whims of regression, injury history, old age, and the commissioner’s office, but until the great Fernandez comes back, that’s exactly what the Marlins will be doing. Noteworthy Miscellaneous Stat: Through his first five seasons, Stanton has blasted 154 home runs. Ending in their age-24 campaign or younger, the only players to tally more homers through the same number of seasons are Eddie Mathews, Frank Robinson, Albert Pujols, and Orlando Cepeda. That’s pretty good. Off-Field Story Line: Since moving into their new ballpark in 2012, the Marlins boosted attendance by nearly 50 percent. But since the post-2012 sell-off, locals have been slow to warm to the team, as Miami has drawn the fewest fans in the league in each of the past two seasons. It’s been heartening to see Jeffrey Loria shell out real money for Stanton and Yelich. And if the Fish keep improving, there’s plenty of room for increased attendance and overall revenue growth, which presumably could be invested in more homegrown players and upgrades to the roster. Projected Record and Over/Under: 81-81 — OVER. As ESPN’s Dave Schoenfield recently wrote, every year since 2006 we’ve seen at least one sub-.500 team make the playoffs the following season, and nine teams have pulled off that trick in the past three seasons.2 While the two teams considered most likely to make that leap in 2015 are the Red Sox and the Cubs, don’t sleep on the Fish. The Marlins were only four games under .500 last year, and they led the division as late as the second week of June. Ozuna and Yelich have major breakout potential. Gordon and Martin Prado are flawed players, but they’re also solid upgrades over what was here last year. And Latos, if healthy, could thrive in the pitching-friendly environment of Marlins Park. More generally, Miami boasted the fifth-youngest collection of position players and youngest group of pitchers in all of baseball last year — and, well, young guys tend to get better as they gain experience. Plus, they get to play 38 games against the likely-to-be-terrible Phillies and Braves. The Marlins will almost certainly top .500 this year. In fact, that might be dramatically underselling what they’re capable of doing. Best Offseason Move: None. Ever since Jose Reyes left, Mets fans have been pining for a reliable all-around shortstop. Wilmer Flores was Baseball Prospectus’s no. 71 prospect last spring and hit .292/.334/.440 in the minors, only to post a lousy .251/.286/.378 during his first semi-clear run at the starting job. He’s still just 23 years old, and his defense in the majors has been better than expected, but that didn’t stop the Flushing faithful from forming some pie-in-the-sky hopes of a Troy Tulowitzki blockbuster over the offseason. Clearly, the Tulo deal never materialized — and neither did anything else that will improve the club. So, with tons of pitching talent and a subpar offense, the Mets head into 2015 with roughly the same roster as last season … except for one new face. Worst Offseason Move: Signing Cuddyer to a two-year, $21 million deal. I’m still trying to figure out what the Mets were thinking here: Cuddyer hit .332 with 30 combined homers in 2013 and 2014, but (1) he did it at Coors Field, and Citi Field sure as hell isn’t Coors Field, (2) injuries limited him to just 49 games last season, and (3) he hasn’t played in more than 130 games since his last season with the Twins in 2011. Oh, and (4) Cuddyer is 36 years old, (5) he’s one of the worst defensive outfielders in the game, and (6) the Mets gave up what would have been the no. 15 pick in the draft to sign him. Honestly, the conspiracy theory suggesting the Mets were throwing Colorado a free compensation pick as part of a wink-wink agreement before an eventual Tulo trade still seems more plausible than New York thinking signing Cuddyer was a good idea. Greatest Team Strength: Starting pitching depth. Zack Wheeler’s recently torn UCL will certainly hurt the Mets’ chances this year — just not as much as you think. For the time being, serviceable right-hander Dillon Gee starts the season in the rotation, but with big righty Noah Syndergaard, who’s probably major league–ready but likely to spend a couple of months in Triple-A, and southpaw Steven Matz, who’s also in Triple-A and not far behind Syndergaard in his development, more exciting rotation candidates await in the minors. 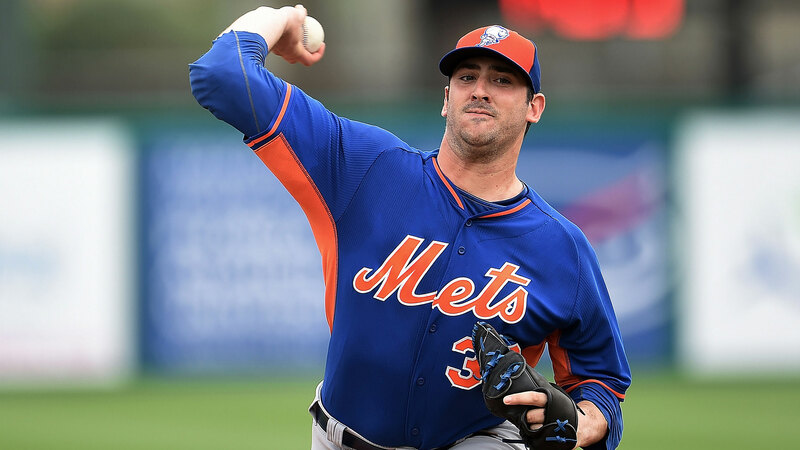 As for the rest of the rotation, Jon Niese has made 84 starts over the past three seasons with an ERA and FIP 3 percent better than league average, Jacob deGrom is the defending NL Rookie of the Year, and this spring, Matt Harvey has looked like the Cy Young–caliber pitcher he was in 2013 before undergoing Tommy John surgery. Best of all, despite a staff loaded with twentysomething options, the Opening Day nod goes to the 41-year-old Bartolo Colon, who’ll be the oldest Game 1 starter in franchise history. Like the handful of other athletes across all sports who’ve extended their careers into their forties thanks to dietary advances and meticulous strength and conditioning programs, Colon is a true Greek god. Greatest Team Weakness: The lack of the old David Wright. When he signed an eight-year, $138 million extension in December 2012, Wright was a bona fide in-his-prime superstar. Two years later, with the third baseman coming off a .269/.324/.374 season,3 we have to wonder: Is the 32-year-old about to jump headfirst into a steep decline? On one hand, you could argue that persistent left shoulder problems sapped Wright’s power and wrecked his season, so he deserves a mulligan. After all, he is only one year removed from a .307/.390/.514 campaign (albeit in just 112 games). On the other hand, injuries seem to have become a progressively bigger problem for Wright, who’s managed to play 135 games or more just once over the past four years. While getting the old Wright back could be worth an extra three or four wins by itself, ZiPS projects Wright to hit .275/.346/.422 this year — better than 2014’s debacle, but nowhere near what the third baseman did in his prime. The 26-year-old doesn’t get the attention he deserves because he’s not an elite hitter and because the Mets haven’t been good in a while. But the Mets have a chance to be competitive this year, and Lagares’s defense is a big reason why. Last season, he graded out as a league-average hitter at .281/.321/.382, and at 26 years old he still has room to improve at the plate. But the main reason to tune in is to see Lagares track down a fly ball. Nobody in the league does it better. Noteworthy Miscellaneous Stat: Last year, the Mets hit just .239, which ranked 28th in baseball. Much of that comes down to a meek .286 batting average on balls in play (26th in MLB) and a home park that punishes balls-in-play results. However, Mets hitters ranked third in the majors last season in line-drive rate, so some bad luck might be afoot as well. In addition to the Mets moving in the fences in right-center and Cuddyer replacing the punchless Young brothers,4 a few more line drives finding the outfield grass could give the team a much-needed offensive lift. 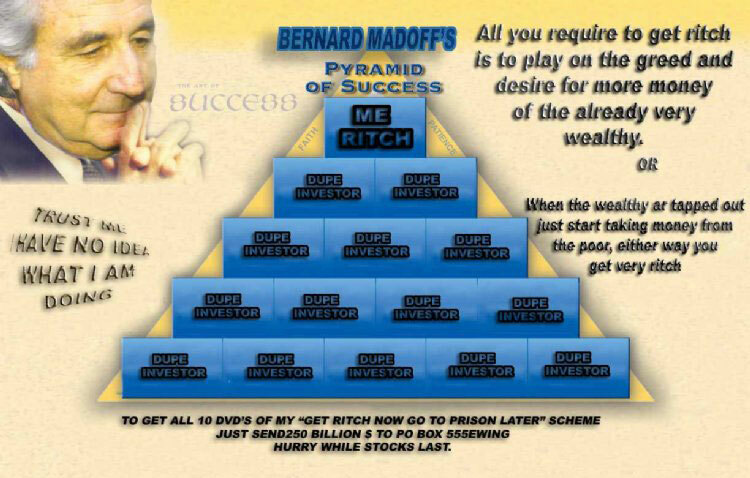 When it comes to the Wilpons’ inability to emerge from Bernie Madoff’s shadow and begin giving out actual money for actual talent, things have looked slightly better lately, but it could be a while before the Mets start operating with anything close to the free-spending ways we’ve come to expect from a professional baseball team based in New York City. Projected Record and Over/Under: 81-81 — PUSH. With the return of a potential Cy Young candidate in Harvey, the power arms at the back of the bullpen, the emergence of Lucas Duda as a major offensive threat, and the same Phillies-and-Braves advantage the Nats and Marlins get, it’d seem reasonable to expect a bigger improvement on last year’s 79-83 campaign than just two wins. But this remains a team with many holes: Wright and Curtis Granderson are not what they used to be, the defense and team health profile look likely to get worse with Cuddyer onboard,5 and there’s still a lack of available funds to make any important upgrades. All things considered, a .500 prediction looks pretty accurate. *Both Upton and Markakis are expected to be out with injury on Opening Day, and their respective replacements should be Eric Young Jr. and Zoilo Almonte. *Eric Stults is expected to take Minor’s place in the rotation until Minor returns from injury. Best Offseason Move: Trading Evan Gattis and minor leaguer James Hoyt to the Astros for Mike Foltynewicz and minor leaguers Rio Ruiz and Andrew Thurman. While losing the 28-year-old Gattis and his 22 homers from last season will zap the lineup of some of its power, we may have already seen the limit of his upside in the majors, which includes a .297 on-base percentage against right-handed pitchers the past two years, in addition to lousy defense and durability concerns. In exchange, Atlanta reeled in Foltynewicz, a 23-year-old pitcher who’s shown erratic results but who also wields an elite fastball-curve combination that could flourish over time; Ruiz, a patient hitter at third base who fared well as a 20-year-old in high Single-A last year; and Thurman, a right-hander with the lowest upside of the three but also a mid-90s fastball and some potential as a future back-end starter in the big leagues. With the Nationals light-years ahead in the short term, the Braves were rightly in full-on rebuild mode this offseason. Well, almost. Worst Offseason Move: Throwing a four-year, $44 million contract at Markakis. First, the performance concerns: Markakis is 31 years old, he’s no longer the defensive ace he was at the start of his career, his best offensive days are behind him,6 and his durability, which might’ve been his best quality since he entered the bigs, came into question after neck fusion surgery in December. Now, it’s possible Markakis recovers nicely from the operation and produces a valuable 150-plus games of above-average OBP and playable defense. However, even in that scenario, four years is a big commitment for a 31-year-old with that skill set. And for a team that’s actively trying to get younger and contend a couple of years down the road, it doesn’t make much sense. Greatest Team Strength: Young pitching. Last year, Julio Teheran and Alex Wood combined to fire 392.2 innings with a 2.84 ERA and a strikeout-to-walk rate just shy of 4-to-1. They’re both 24 years old and both under team control for five more seasons.7 While his numbers regressed last season, Shelby Miller is also only 24 and just two years removed from finishing third in rookie of the year voting. And with the newly acquired Foltynewicz and Max Fried joining Lucas Sims and other intriguing pitching prospects, the stable of young arms on the farm looks much improved after a flurry of trades. If a handful of these young arms continue to develop, Atlanta won’t have to sort through the land mines that are lucrative free-agent starting pitchers. Any team that can avoid paying to acquire a starter stands to save tens of millions of dollars that can be better invested elsewhere. Greatest Team Weakness: Offense. The Braves finished 29th in runs scored last year. Then they jettisoned three of their four best offensive players — Jason Heyward, Justin Upton, and Gattis — and it’s not like they have any monster bats waiting in the high minors. Brace yourself for a lot of 3-1 losses, Atlanta fans. Player We Can’t Wait to Watch: Craig Kimbrel. With the Braves in full rebuild mode, there’s a good argument for trading Kimbrel since dominant closers on lousy teams are something of a luxury. Whether or not he moves on from Atlanta, let’s take a moment to consider a man who is the Platonic ideal of an unhittable, fire-breathing closer: In 289 career innings, Kimbrel has struck out an impossible 476 batters, while allowing just 12 home runs and 153 hits. Mariano Rivera is the greatest closer in baseball history and a playoff demigod, but pick the best four-plus regular seasons of his career and none add up to what Kimbrel has done in the bigs. The combination of Kimbrel’s 98 mph fastball and nasty knuckle-curve has demoralized even the biggest, baddest hitters on the planet. Noteworthy Miscellaneous Stat: The Braves hit 123 home runs last year. Seventy-four of those round-trippers migrated to other teams, and 12 more (Melvin Upton Jr.) start this season on the disabled list. 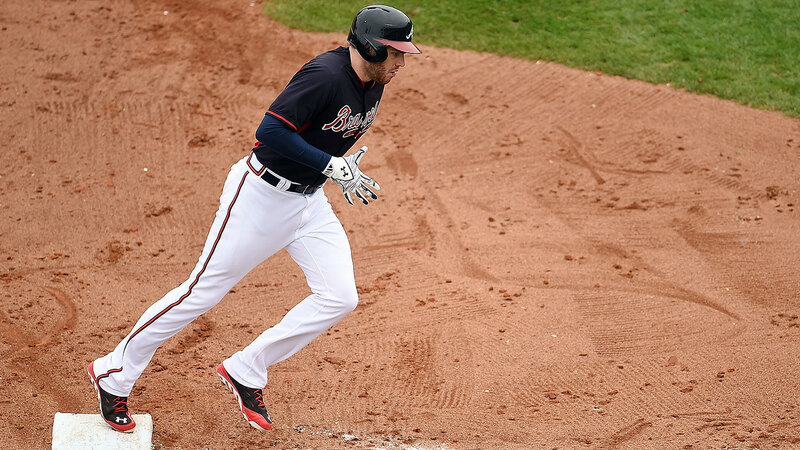 The biggest returning power source: Freddie Freeman, who hit 18 home runs in 2014. Off-Field Story Line: Since no fan in his or her right mind would be willing to watch a baseball game in a 20-year-old ballpark, the Braves are happily taking hundreds of millions in bond money from Cobb County so they can build a shiny, new stadium in the suburbs. Since the park doesn’t open until 2017, expect smaller payrolls until then: Even after accounting for the $13.2 million being set on fire in honor of now-departed second baseman Dan Uggla, Atlanta is projected for a 16 percent cut in Opening Day salaries. Projected Record and Over/Under: 73-89 — UNDER. The offensive ineptitude could approach “war crime” levels, and the rebuild suggests that various semi-useful veterans will likely get sold off for prospects and more salary relief come the trade deadline. Teheran, Wood, and Kimbrel will be fantastic to watch, Freeman is one of the best young all-around players in the game, and Andrelton Simmons might not be human. After that … oy. *Brown will start the season on the disabled list and is likely to be replaced by Grady Sizemore. Best Offseason Move: Trading Jimmy Rollins and $1 million to the Dodgers for minor leaguers Zach Eflin and Tom Windle. Rollins is still a good player — even at this late stage of his career — but he’s also 36 years old and eligible for free agency at season’s end. The 33rd overall pick in the 2012 draft, Eflin, a 20-year-old right hander, has two better-than-average pitches and is expected to spend most of this season at Double-A, where he’ll likely be joined by the left-handed Windle, a second-round pick in 2013 who held his own in the very tough California League last season. For a team that long seemed reluctant to do anything with an eye toward the future, the Phillies finally trading one of their core three infielders, and netting real talent in return is a positive sign. Worst Offseason Move: None. Philadelphia’s only other significant moves of the winter were trading 37-year-old Marlon Byrd to the Reds for Double-A righty Ben Lively and refusing to pay Kyle Kendrick real money to keep him in town. For a team that desperately needed to upgrade its farm system and start focusing on 2016 and beyond, this was the right approach. Greatest Team Strength: Cole Hamels. Seriously, there’s very little else to get excited about on the major league roster — at least not until rising-star shortstop J.P. Crawford is finally ready for The Show. Hamels gives the team a golden opportunity to further bolster its minor league talent supply via a blockbuster trade, but for as long as he wears the uniform, he’ll give Phils fans a chance to enjoy one of the 10 best pitchers in the league every fifth day. Greatest Team Weakness: Nearly everything else. The Phillies ranked 27th in park-adjusted offense last year, and they just unloaded two of their best four hitters in Byrd and Rollins. Their starting pitchers ranked 21st in park-adjusted ERA and 23rd in park-adjusted FIP, and there’s a strong chance their best starter is playing for another team by July 31. The bullpen did rank in the top 10 last year by advanced metrics, but the likely trade of Jonathan Papelbon before the deadline will take a bite out of that group, too. 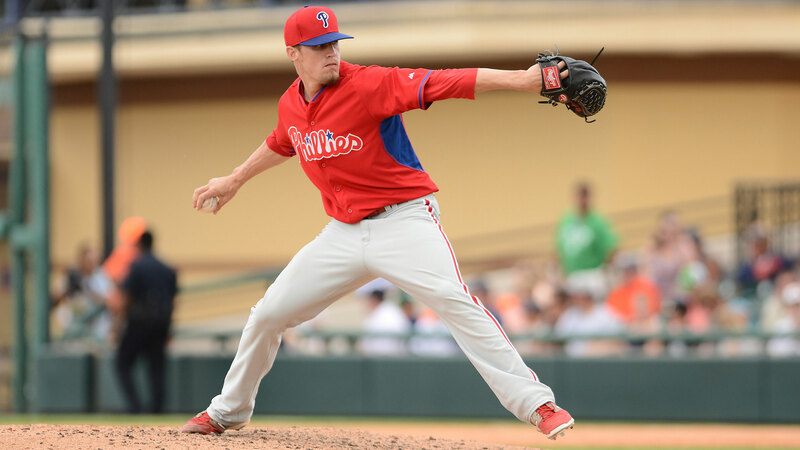 That said, having Ken Giles, one of the best young bullpen arms in the game, throwing setup innings now and ready to step into closer duty when the time comes should help soften the blow of Papelbon’s departure. Player We Can’t Wait to Watch: Crawford. I know, I know — he won’t even be on the team this season — but here we are. The 20-year-old shortstop was the 16th overall pick in the 2013 draft, and he’s fully justified Philadelphia’s decision since then, batting a solid .285/.375/.406 as one of the youngest players in the Sally and Florida State leagues last season. He can hit, he can run, he has an impressive batting eye, and his power keeps improving. We probably won’t see him in the majors until 2016, so try to catch as many Reading Fightin Phils games as you can this year. Noteworthy Miscellaneous Stat: With center fielders costing the team 22 runs according to Baseball Info Solutions’ Defensive Runs Saved stat, Philadelphia was the worst team in the majors last year by center-field defense. Ben Revere, the speedy but still lousy gloveman who was responsible for much of that scary rating, moves to left field for 2015. With just two homers in 2,026 career plate appearances, he instantly becomes one of the most punchless corner outfielders the game has seen since the dead ball era. Off-Field Story Line: The Phils averaged nearly 45,000 fans a game from 2010 through 2012, finishing first in the National League in attendance all three years. Last season, they drew fewer than 30,000 a game for the first time since 2003, dropping down to 10th among NL teams in attendance. Ponder those numbers for a second, and even though Ryan Howard & Co. are nowhere near what they used to be, you can at least sort of understand why upper management was so reluctant to break up the team’s nucleus from those recent glory years. Projected Record and Over/Under: 68-94 — UNDER. FanGraphs predicts the Phillies to finish with the worst record in baseball by a full five games. Given that the stretch-run roster likely won’t include Hamels, Papelbon, and maybe a couple of other useful veterans, that might prove to be too optimistic. Committing to a rebuilding plan is the right move here, but it’s also going to be ugly to watch for a while, as most of the team’s exciting prospects are still at least a season away from the majors. This post has been updated to correct the Atlanta Braves’ projected record. The addition of another wild-card spot certainly helps. Career lows in on-base percentage and slugging. I still hate the Cuddyer signing, but anything would be better than the respective .205/.283/.346 and .229/.299/.311 stink bombs put up by Chris Young and Eric Young Jr. last year. The Mets are trying some interesting things to better quantify defense, at least. He batted a mediocre .274/.335/.371 over the past two seasons. Teheran also comes with a club option for 2020. Cliff Lee and Chad Billingsley rate as more likely to hit the DL, but they’re already hurt.